Precious metals are rare, naturally occurring, metallic elements that have high economic value. In general they are less reactive than most elements, and tend to be ductile and have a high luster. In the past, precious metals were important because they were used as currency. Today they are considered valuable because of their investment and industrial uses. But what is the best precious metal to invest in? Different investors have different needs, and it’s important to be aware of the factors that affect supply, demand and prices for each precious metal before making a decision. Below we’ve provided a quick overview of the gold, silver, platinum and palladium markets. Those four metals are the most popular precious metals, and all can be good investment choices. Read on to learn what the best precious metal to invest in might be for you. Best precious metal to invest in: Gold and silver? The best-known precious metals are gold and silver, and it’s not hard to see why. Gold is a key material for jewelry, and is also used as a store of wealth by investors around the world. Indeed, many believe that it’s superior to any and all paper currencies. Silver is also used as a store of wealth and in jewelry, but unlike gold it’s also subject to a fair amount of industrial demand. In other words, the metal is not only bought by investors, but also by manufacturers looking to use it for different applications. Those applications are incredibly varied — silver is used in devices like batteries and catalysts, but it’s also used in medicine and in the automotive industry. Gold and silver prices are most heavily affected by global economic and political changes. Both metals are considered safe-haven investments, and tend to receive increased attention from investors in times of turmoil. If you believe that more tumultuous times are in store, you may want to consider investing in gold and silver. Best precious metal to invest in: Platinum and palladium? Sister metals platinum and palladium are also well-known precious metals. Like silver and gold, both metals are used in jewelry and are bought by investors. However, what they’re perhaps best known for is their use in the automotive industry. Both are used in catalytic converters, with palladium being used in catalytic converters for gasoline engines, and platinum being used in catalytic converters for diesel engines. That said, palladium is starting to move in on platinum’s market share — it is cheaper than platinum and manufacturers are beginning to substitute it for platinum when possible. While platinum and palladium prices sometimes also move because of worldwide economic and political events, they are influenced more strongly by supply and demand dynamics. In recent years higher demand and strikes at key mines have pushed both markets into deficit. Investors who think those circumstances will eventually result in higher platinum and palladium prices may want to consider investing in these metals. For investors looking to move into the precious metals space, there’s perhaps no time like the present. 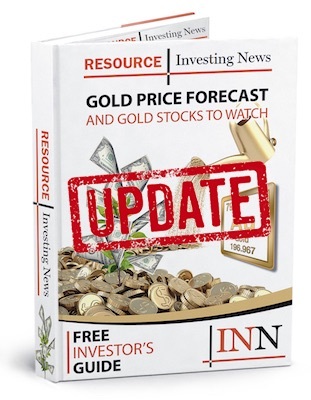 Prices for gold, silver, platinum and palladium are currently much lower than they have been in the past, and many market watchers believe that today’s low prices present a buying opportunity. And luckily, those interested in the metals have myriad options for investing, from stocks to ETFs to physically purchasing the metals. All it takes is some research to determine which is the best fit. As a final note, it’s worth being aware that while gold, silver, platinum and palladium are undeniably the most high-profile precious metals, other precious metals do exist. Rhodium and rhenium are two fairly common ones, with rarer examples being germanium and beryllium.